Minutes from now, a billion or so people from around the world will take in the pageantry of the Closing Ceremonies of the 2012 Summer Olympics in London. Some 80,000 will be on hand at the Olympic Stadium, and the rest of us will be forced to watch the event on television. Spoiler Alert: Don’t click on the links above if you want to be surprised and not learn the names of some of the artists scheduled to perform. The PRDude has other plans and will not watch the festivities. Although he would have attended the event in person, if there was a bankroll of around 5,000 British pounds, or $7,100, in discretionary funds available. Alas, this princely sum was not readily available. But I did watch the Opening Ceremonies some two weeks ago, and I caught some of the athletic competitions. After all, the Olympics are about competition, with a lot of pomp and circumstance thrown in. And, the British certainly know how to pump up the pomp; what’s more, they’re not shy about surprising us with the circumstances. In the months leading up to the Olympics, there was speculation of gridlock, whether the London was ready, and even worse, terrorist attacks at some time during the games. Fortunately, that has not happened. From a public awareness perspective — something most call “public relations” — the British and London look pretty good right now in the eyes of the world. Glory: U.S. gymnast Gabby Douglas, who proved African American young women can earn a gold medal in gymnastics, and Wojdan Shahrkhani, the first Saudi Arabian woman to compete at the Olympic Games; she lost her judo match to a much more skilled opponent, but she demonstrated courage well beyond her 16 years. Finally, tonight’s Closing Ceremonies will be bittersweet. 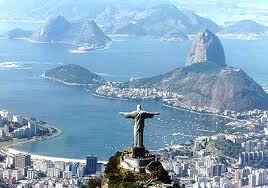 The custom, of course, is to pass the Olympic flame on to the next host city; that will be Rio de Janeiro. If you remember, my home town of Chicago was a finalist, but lost out when the decision was made in October of 2009. Ah, what could have been the world focus here in 2016 did not happen. We learned, we moved on. All the best to Rio in 2016. I hope they are as successful as London, and teach the world to samba.